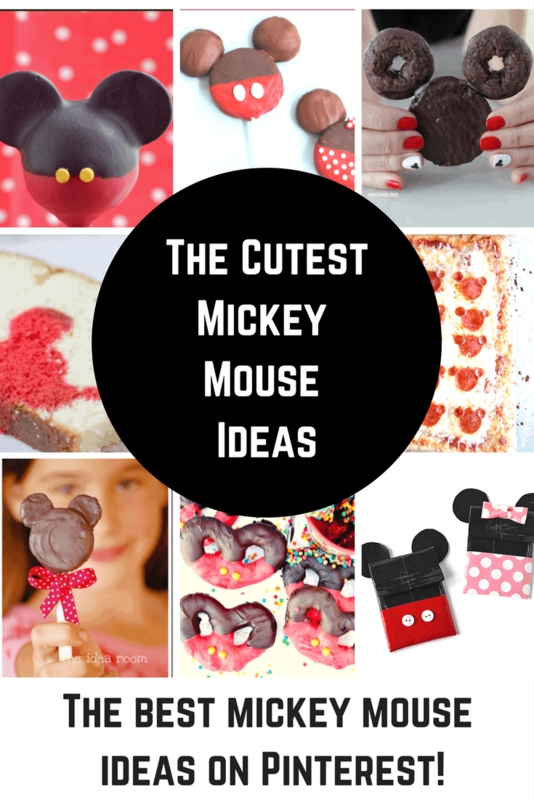 Mickey Mouse Treats and Disney DIY ideas rule! Who’s the leader of the club that’s made for you and me? MICKEY MOUSE! I loved Mickey Mouse as a kid and that hasn’t changed one bit now that I am an adult. 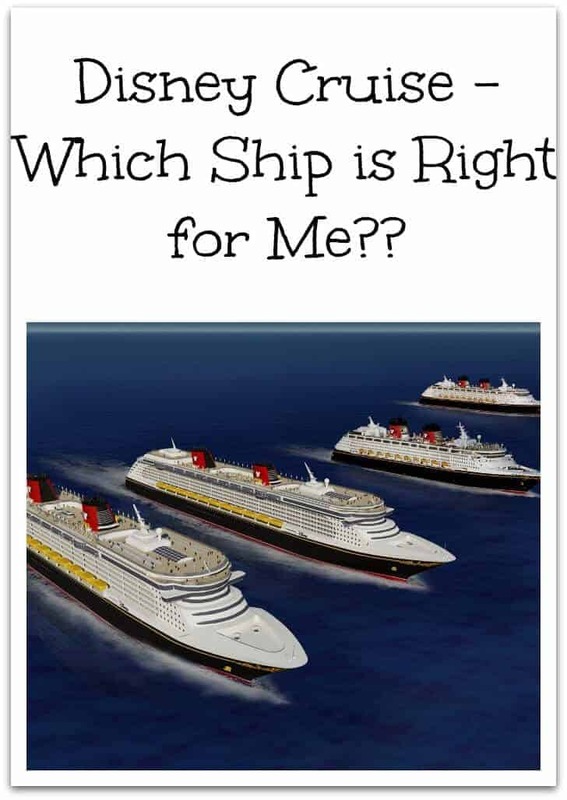 We love visiting Disney Parks, have been on a couple of Disney Cruises and we are huge Mickey fans. 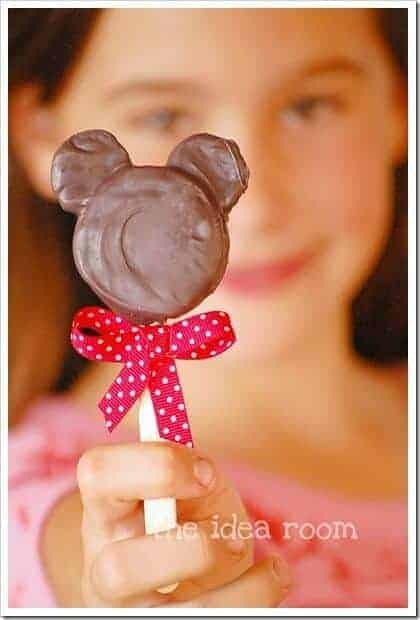 The Mickey Mouse Treats and Disney DIY ideas I am going to share with you today are so creative, so fun and are easy enough that anyone can do them! If you are looking for ideas to do for your visit to a park, for a birthday party, or just for a fun night in, you have come to the right place. Let’s dig in! Kitchen Fun with My Three Sons is always up to something very creative with food. 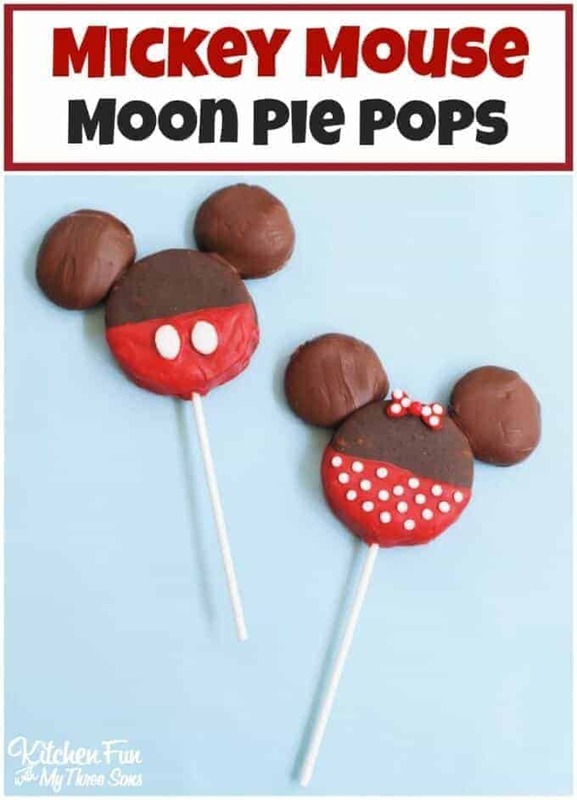 I love these crazy cute Mickey Mouse Moon Pie Pops. They are so simple to make when you use her extra special and time saving ingredients. I love these! 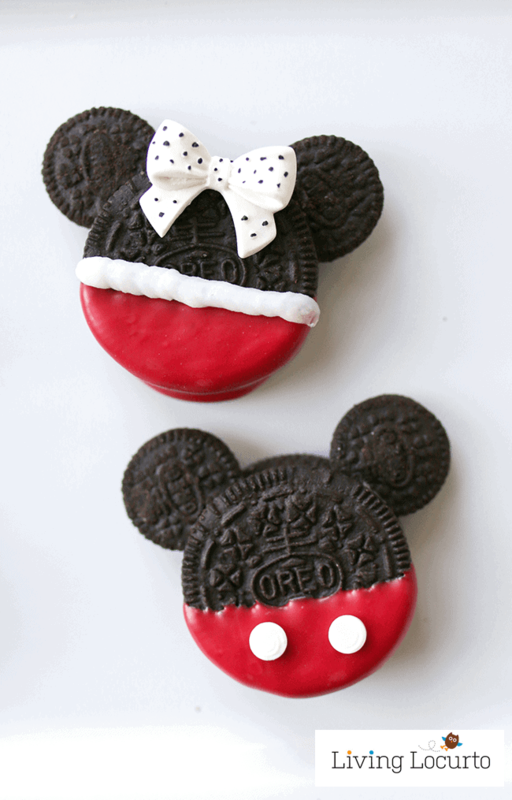 Living Locurto made these adorable Mickey Mouse Oreo Cookie (she has Christmas and Halloween versions too!!) So cute and NO BAKE!! I know so many people who love to surprise their kids that they are headed to see Mickey Mouse. Spaceships and Laserbeams created what she calls a Mickey Mouse Surprise Cake. 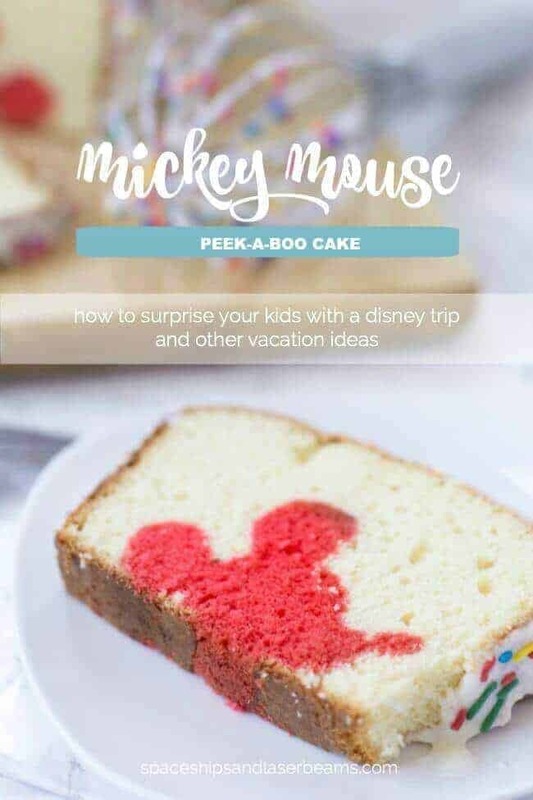 It looks like an ordinary cake from the outside, but once you slice into it, you can see the silhouette of good old Mickey himself. Surprise! Can’t you just imagine the excitement on the kids faces? I also love how she made the cake and I actually think I could pull this off! 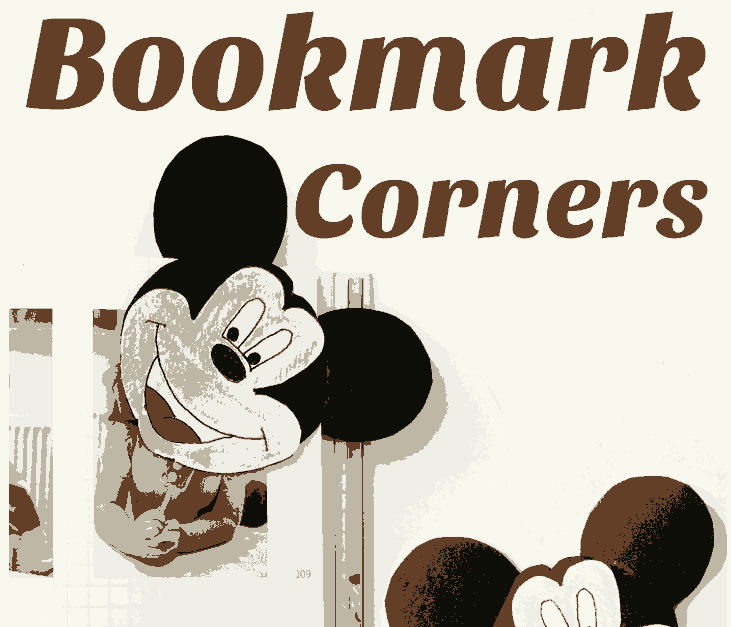 Red Ted Art has created the most adorable Mickey Mouse corner bookmarks. They are the perfect craft idea for so many ages. Even adults will enjoy getting in on the fun! They have even included a fabulous video to walk you through every step. 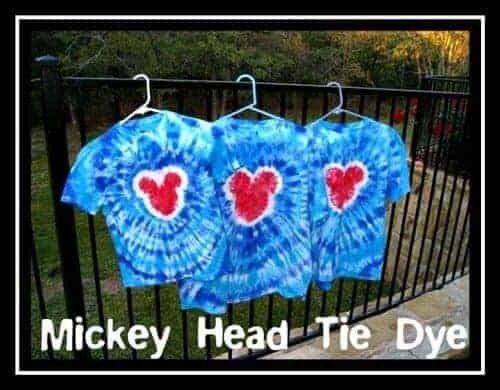 These Mickey Head Tie Dye T-shirts would be perfect if families wanted to all be matching to stay together at a park. I can’t believe how creative this idea is, but there is always something super fun to be found on Kids Activities Blog. We love to dye shirts at our house and will have to try out this method soon! Simply Being Mommy is simply genius. 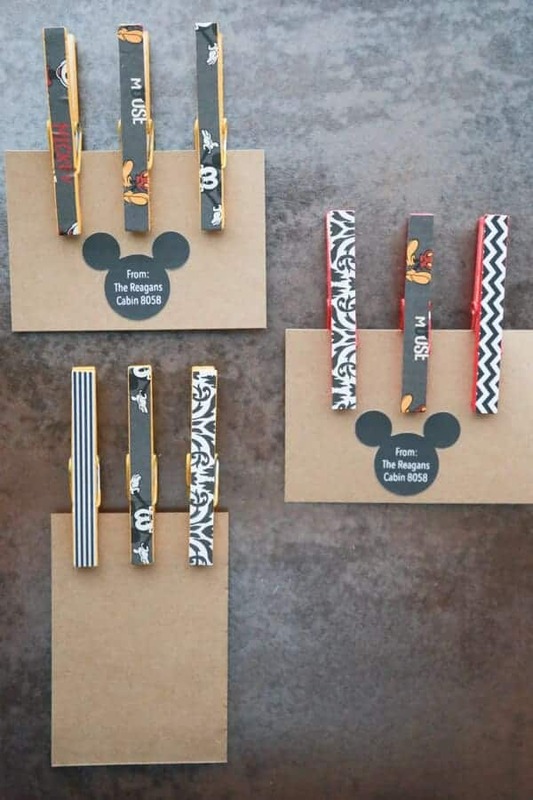 She created these Mickey Mouse Clothespin Magnets that are really chic and not at all childish. They remind me of the mod Mickey line and I love them. They are also super useful, too! Pint Sized Baker is the master of creating the most amazing cake pops. 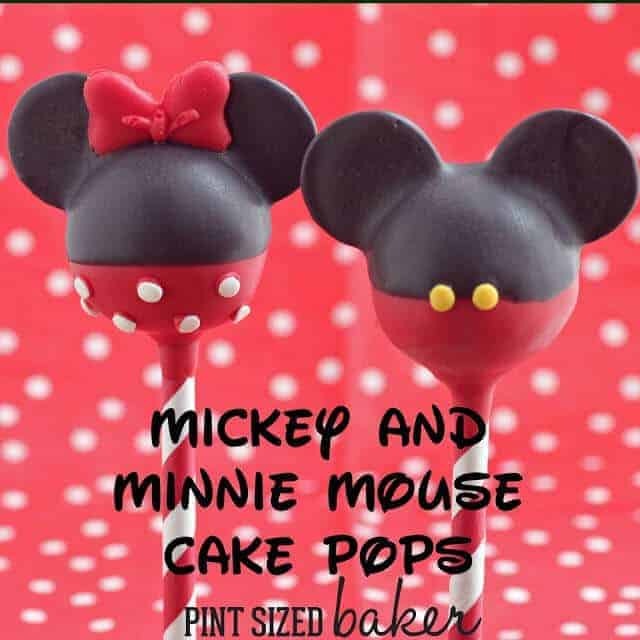 It is no surprise that she has created not only a Mickey Mouse Cake Pop, but also a Minnie Mouse Cake Pop to complete perfection. They are seriously perfect! I am always on the lookout for a good gift card holder idea. 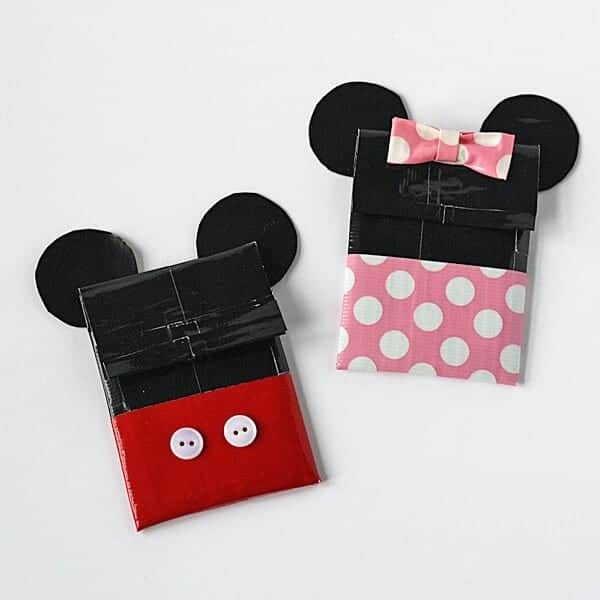 These gift card holders are made from duct tape and I love how Crafts by Amanda made one of Mickey and Minnie. So cute! Love the buttons on Mickey Mouse! I love how fun these Mickey Mouse pretzels are! 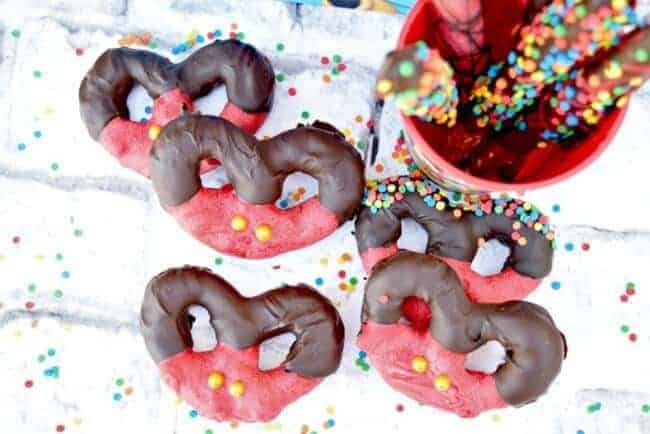 A Mom’s Take is so creative and she makes it look so easy to make a batch of these sweet pretzels myself. 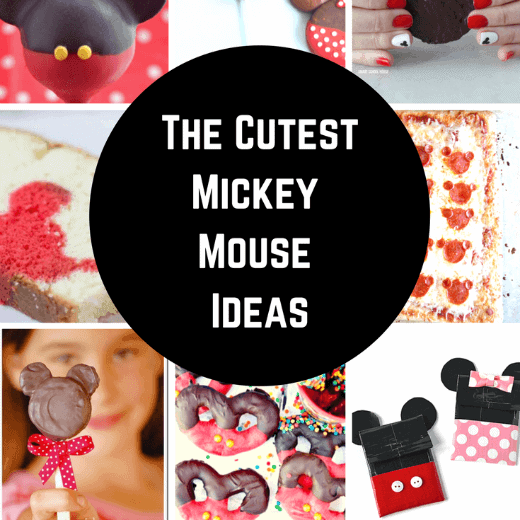 This would be perfect for a Mickey themed birthday party… such cute treats! 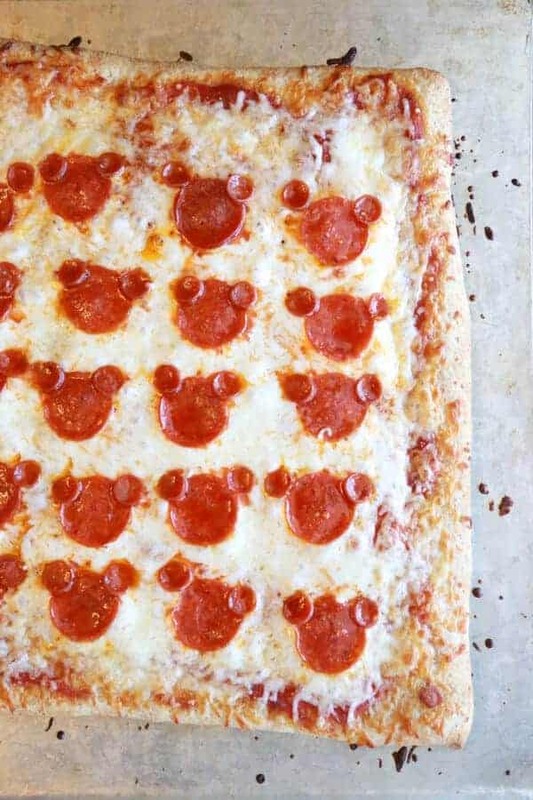 Simply Being Mommy made such a fun themed pizza simply by using two different sizes of pepperoni. So easy anyone can do this idea! Do you love Rice Krispy Treats? 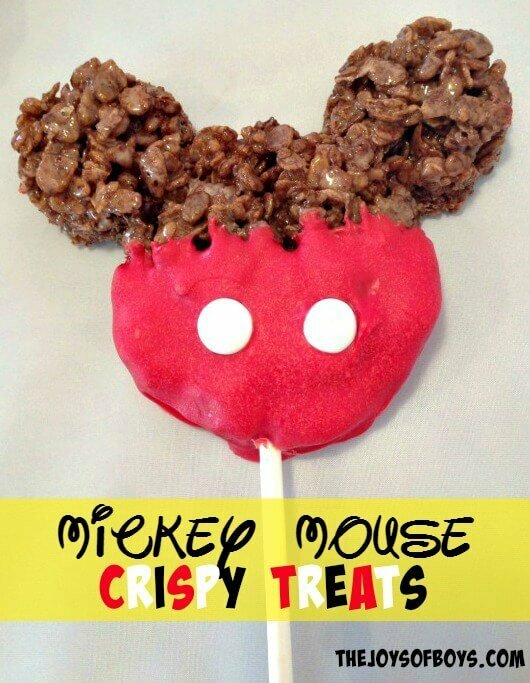 The Joys of Boys has made these chocolate rice crispy Mickey Mouse treats on a stick. I love that it is on a stick… great for a fun snack or party treat. Cutest bento lunch ever by bentolunch.net. Mickey shaped quesadillas, cut with a Mickey shaped cookie cutters. 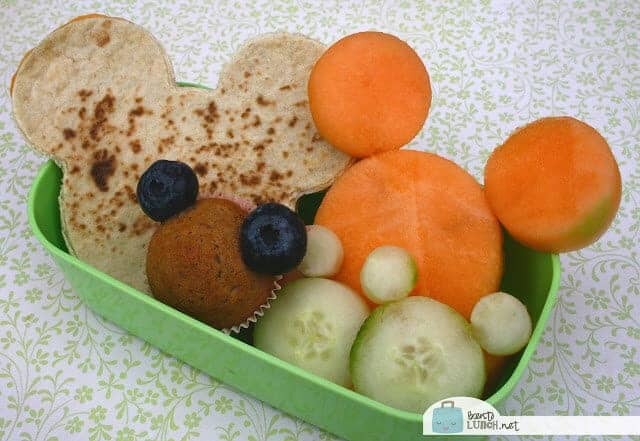 Rather than keep up with the cookie cutters, I used a mini muffin with two blueberries to make the ears, then created cucumber and melon shaped Mickeys with the larger and smaller circles combo. 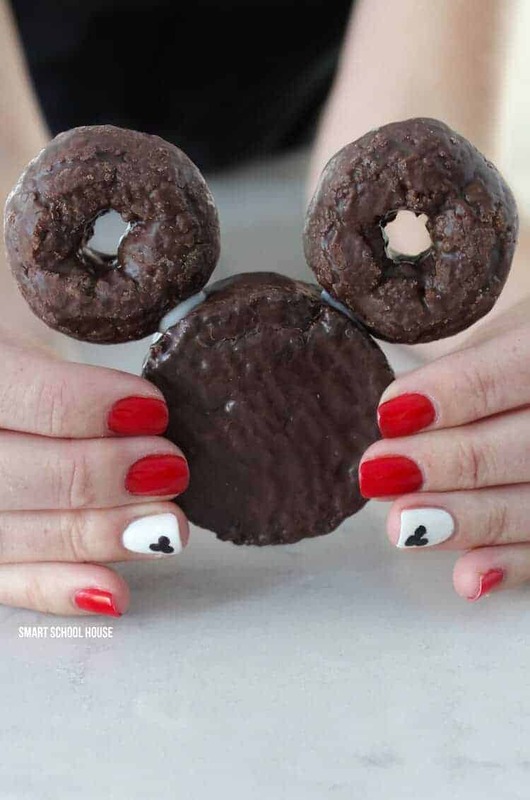 I don’t know what is cuter, the Mickey manicure or or the Mickey ding dong donuts? Smart School House has got it going on in the Disney department. She has the greatest ideas and they are always so simple to throw together. I love it. 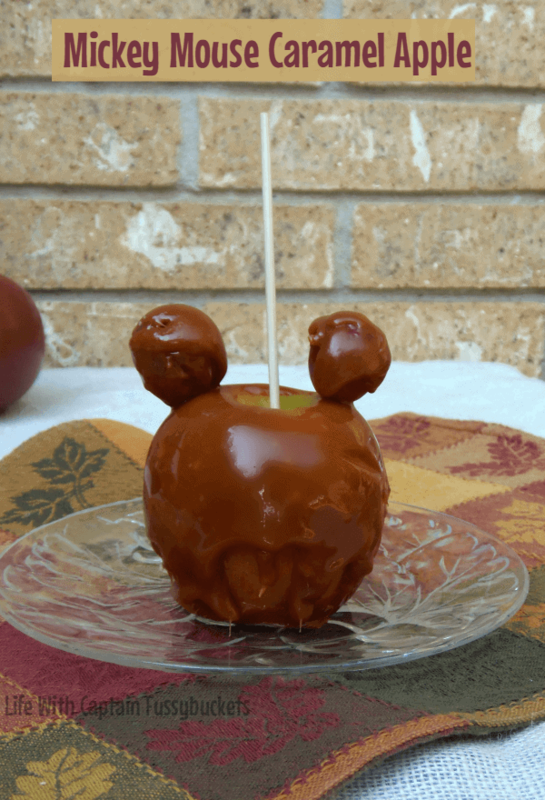 These Mickey Mouse Caramel Apples are the bomb. I am now craving them in a major way! Ginger Casa has actually made two versions of adorable caramel apples and they both look so good! These say they are for the fall, but I think they’d taste delicious any time of year. 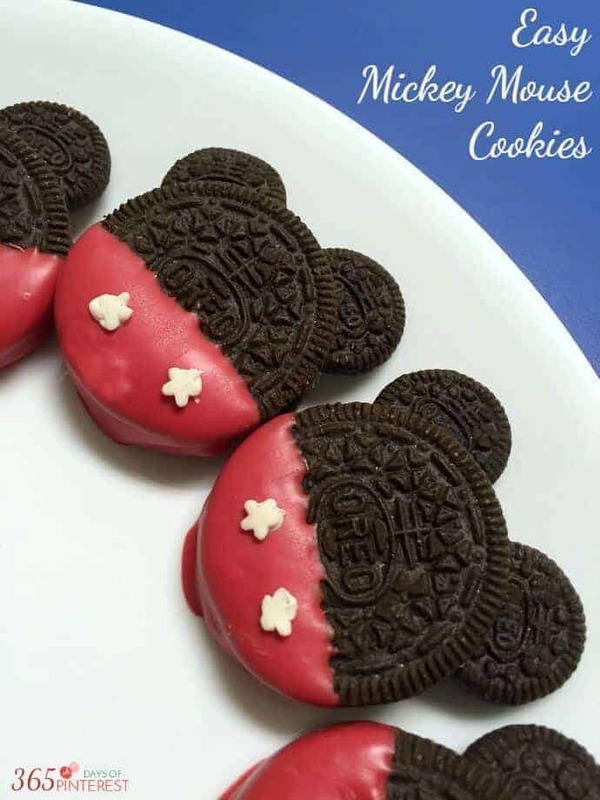 Here is another version of using Oreos to make a very sweet treat featuring Mickey Mouse or add a bow and make it a Minnie Mouse Oreo Pop. Amy from the Idea Room came up with this creative idea and I love her execution! 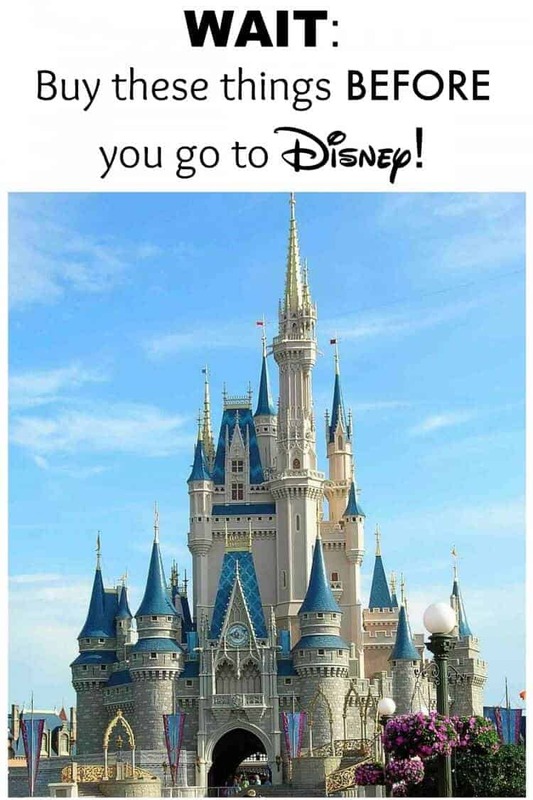 Buy these things before you go to Disney! Oh what a stinking cute collection!! Love love love! Thank you for including our bookmarks!!! 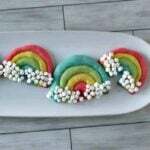 Ok I’m in love with these right now.. I’m going to make a bunch of them for my daughter’s birthday! Wow, thank you very much for sharing this awesome article, it is very helpful for us.